Haunted by the memory of Emily, a girl who had taped her own suicide one year ago, Jabz and his best friend September go on a drug-fueled joyride through the affluent suburbs of Johannesburg. 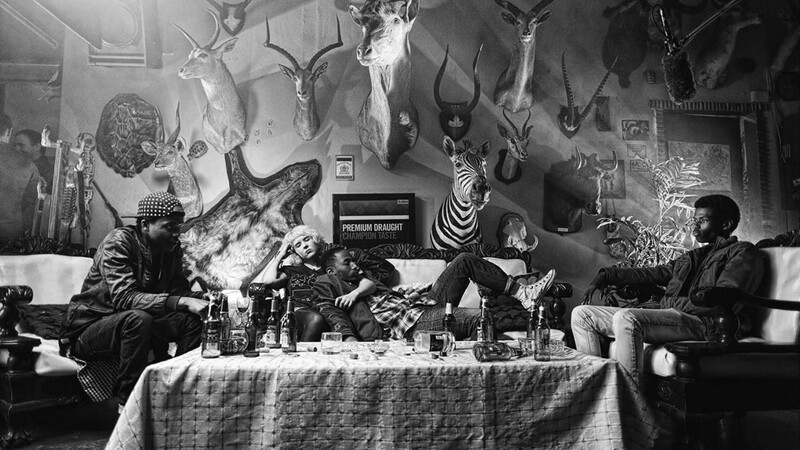 “Anyone who grows up in Sandton spends a lot of time hanging out at pools and drug-filled parties – for this part of Johannesburg is the richest spot in the whole of Africa.” Necktie Youth portrays this first post-apartheid gilded youth in striking black-and-white. Soft colours are reserved for their childhood memories of the early years of the rainbow nation. White 19-year-old Emily ‘did not understand the codes of their set and could not take the pace of the ever-changing, fleeting liaisons’, says the super cool, black and privileged September as he tries to explain to a TV reporter why Emily hung herself in her parents’ garden. She had even positioned her camera in such a way that her suicide could be streamed live. ‘Necktie Youth’ premiered at the Berlinale 2015 and was selected at several film festivals, amongst them, the prestigious Tribeca Film Festival in New York. It also won big time at the Durban Film Festival: Best Director and Best South African Film! Click here for a review of Necktie Youth in Variety.